The 10-race season began in Charlotte, North Carolina at Lowes Motor Speedway and ended in November at San Diego, California. Round one used the 'Roval' layout at Lowes Motor Speedway. The 2.25-mile ten-turn road course used almost the entire 1.5-mile oval with an infield road course section. The GT class had 38-entries for the 50-minute race. During the third lap of qualifying at Viper spun in turn-one which knocked a stack of tires on to the track. 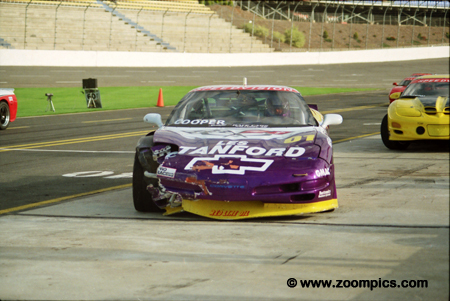 Bill Cooper damaged the front of his Pirate Racing Corvette C5 when he hit these tires but that was after he captured the pole. Cooper fell back to third at the start but was able to move back in front by the sixth lap. He led from there and finished almost 3-seconds ahead of Reese Cox. 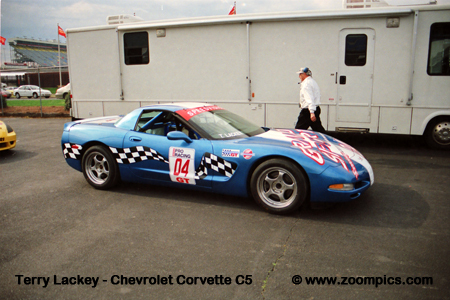 Reese Cox qualified fourth in the GT class with his Chevrolet Corvette C5 and maintained the position early in the race. On lap-18, a blown engine in the Dodge Viper of Bobby Archer allowed him to move to third. In the closing stages of the race, he trailed David Schardt and was able to pass him on the last lap to capture second. It seemed optimistic to think that at the start thirty-eight cars would successfully navigate the first corner. Turn one at Charlotte is very tight. The cars come off the very fast front straight and funnel into a concrete walled entrance for the road course. Two drivers – twenty-first starter Cory Friedman and Trip Goolsby who qualified twenty-fifth were victims of the first turn on the first lap. Driving the No. 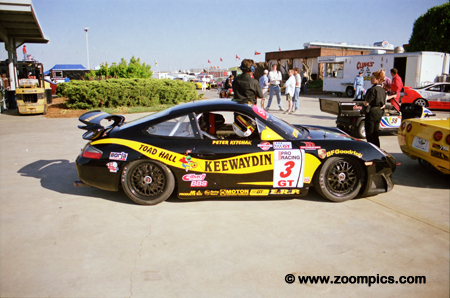 3 Porsche GT3 Cup was Peter Kitchak. In 1999, he was the runner-up in the Drivers Championship – by a single. Kitchak started sixth and captured the last step on the podium after the retirements of Bobby Archer, David Schardt and John Heinricy. 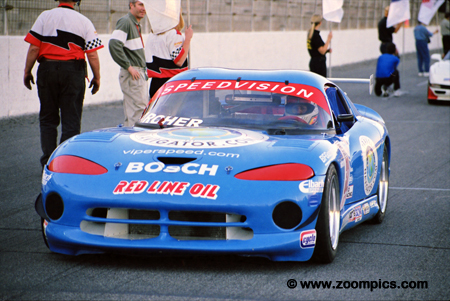 Defending series champion Bobby Archer driving a Dodge Viper GTS started alongside pole-sitter Bill Cooper. Archer was following David Schardt and Bill Cooper in third place when his engine failed on lap-18. He did have the consolation of setting a new lap-record. 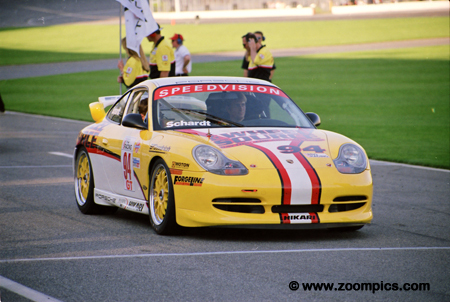 David Schardt qualified third in his Porsche GT3 Cup and was having a great weekend until the final lap. Schardt was in a close battle with Reese Cox for second when he spun on the last lap. 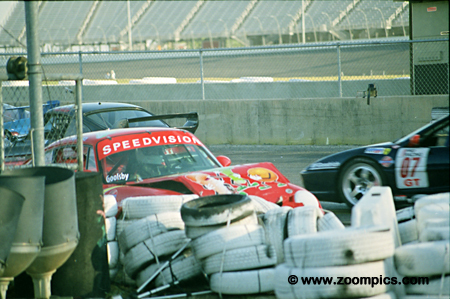 He stopped sideways across the track and was hit broadside by Matt Drendel in a Ferrari 355 – neither driver was injured. 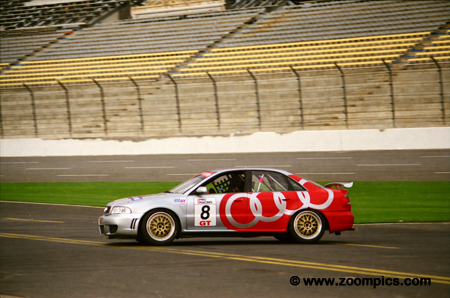 Derek Bell was entered in The Legends of Motorsport/Champion Audi/Audi Sport North America S4 Competition. The S4 Competition was the only four-door, four-wheel drive car in the field. 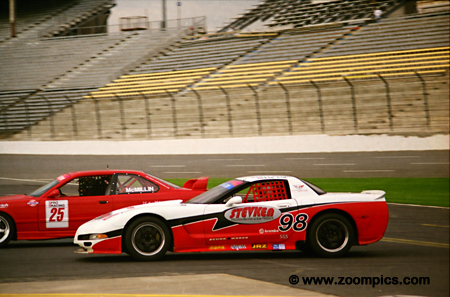 Bell was teamed with former series champion Michael Galati but only one car was available for round one. Bell started seventeenth and finished ninth. 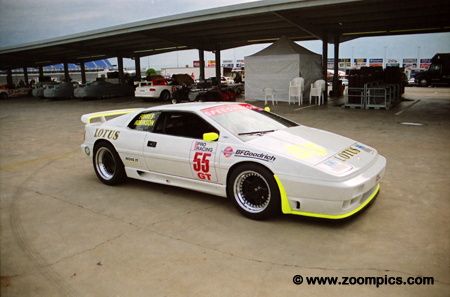 Move-it Motorsports entered three Lotus Esprits for drivers - Elliott Forbes-Robinson, Butch Leitzinger and “Rael”. Leitzinger and “Rael” retired within laps of each other. Forbes-Robinson fared much better qualifying ninth and finishing tenth. To the victor go the spoils. 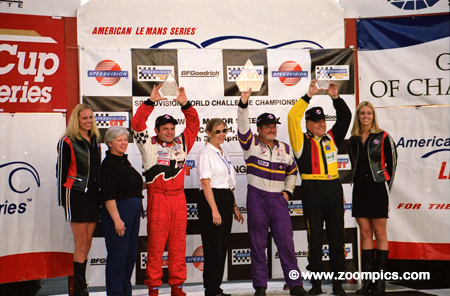 The World Challenge GT podium at Charlotte. On the left is second place finisher Reese Cox and the right Peter Kitchak, who captured third. Between these two is the winner Bill Cooper.